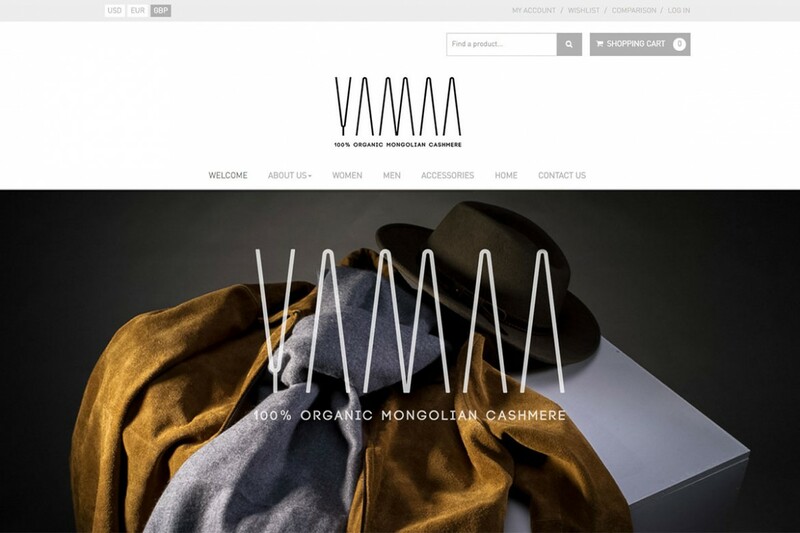 Yamaa Cashmere is an On-Line Shopping website selling to Women, Men, Accessories and Home products. The website has all the functionality of a “Shopping Basket” website allowing on line sales across three currencies. The site has a Wishlist and Product Comparison options and has been designed to reflect the top quality products for sale on the site.